Transit On-Call Travel Forecasting | Resource Systems Group, Inc.
RSG is currently on retainer with UTA to provide specialized travel forecasting support on an as-needed basis as UTA plans and expands its transit system. 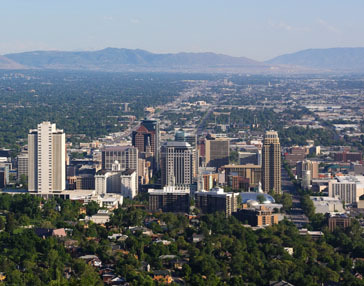 RSG’s most recent responsibilities involved forecasting the demand for a light-rail extension to Draper, Utah, and a transit network optimization study. Our staff had previously successfully produced the forecasts for the “FrontRunner” commuter rail line from Weber to Salt Lake City, Utah, and the Mid-Jordan light-rail line, which opened August 2011. RSG has provided our expert support and model development service to UTA for over a decade. We have developed every aspect of the regional model used by UTA, including mode choice and transit assignment capabilities. Our regional model was one of the first in the country to link with the Federal Transit Administration’s (FTA) Summit software. RSG was recently asked to recalibrate the regional travel model using new transit on-board survey data. The RSG and UTA staffs have worked closely with the FTA over the years and, as a result, our collaboration has produced several defensible and conservative forecasts.